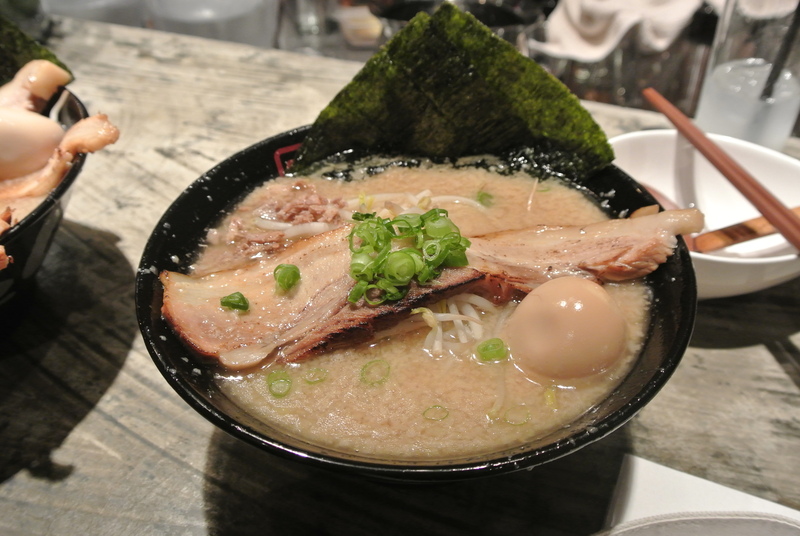 Shoyu Ramen – pork base with soy sauce, bean sprout, egg, nori, scallions and pork belly! 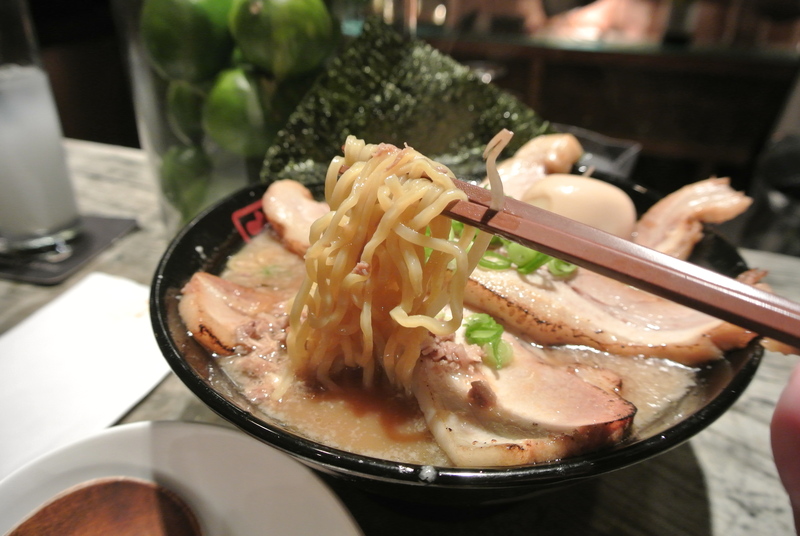 Fresh ramen noodles – yum! 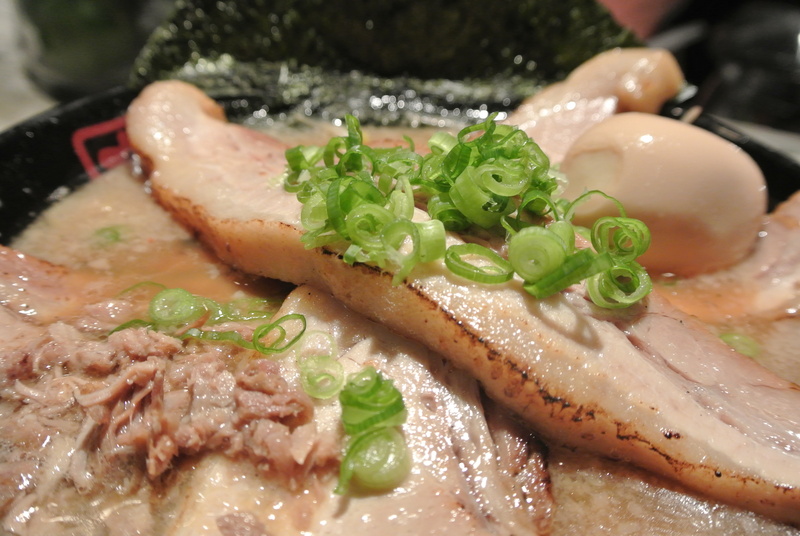 Close up of the delicious pork belly! 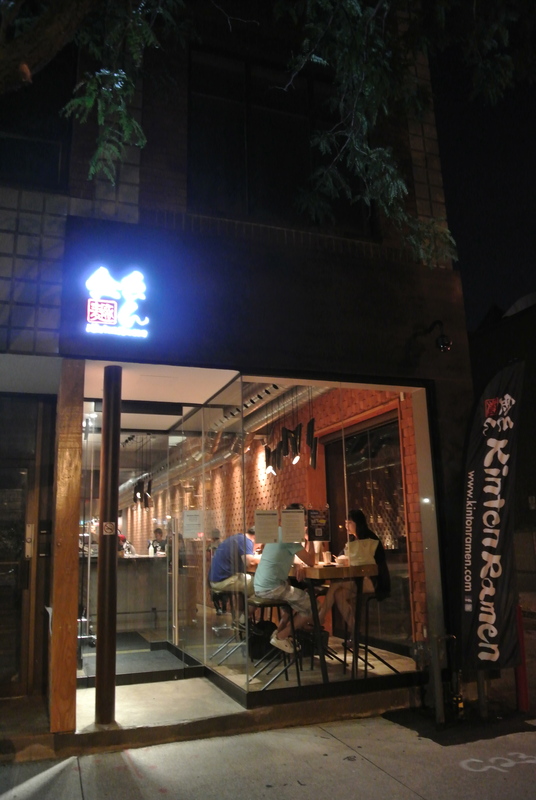 They have a small menu of additional items other than ramen. 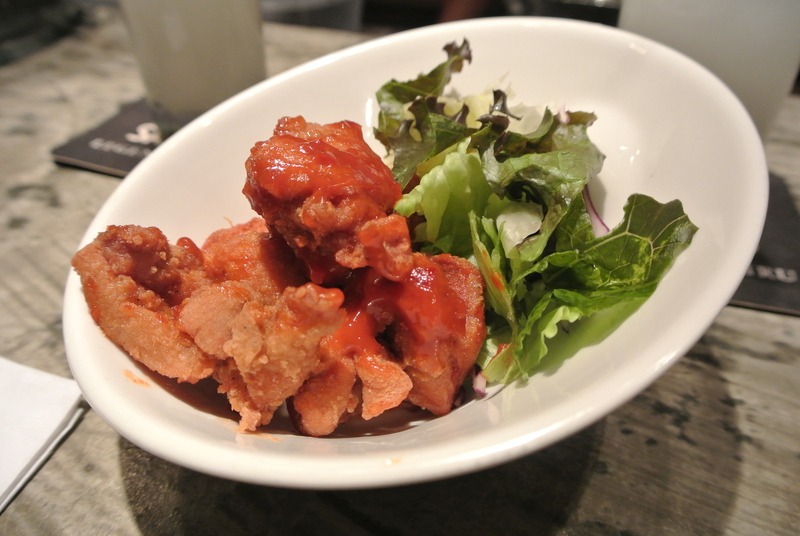 We tried a spicy version of karage (marinated fried chicken), so flavourful! 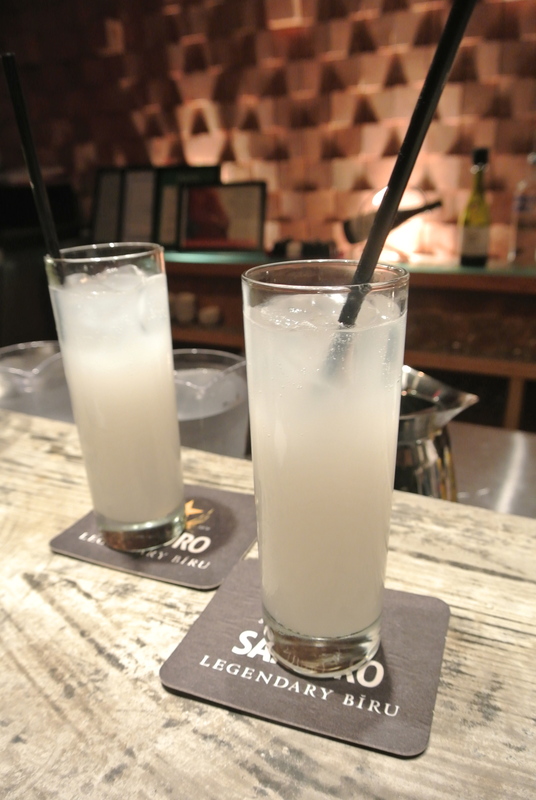 Calpico Sour – my favourite cocktail of calpis, vodka and soda water. 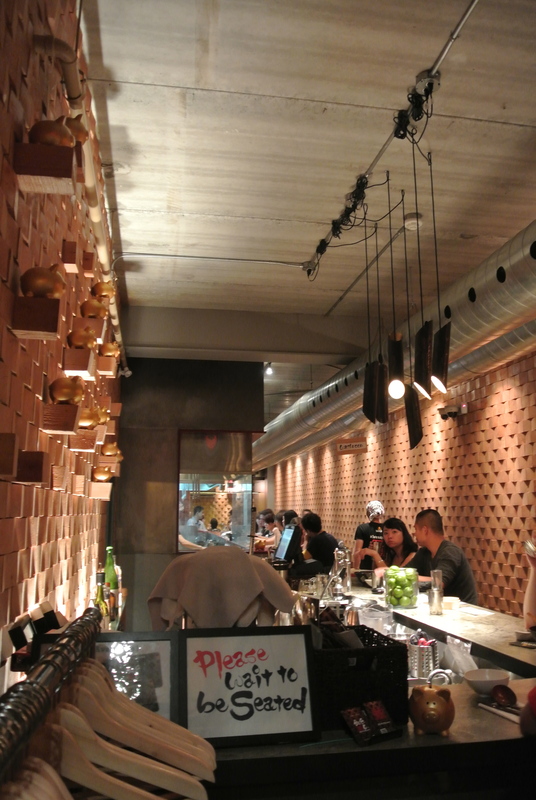 Kinton interior – intimate and casual.